All quality buildings start with a quality foundation. 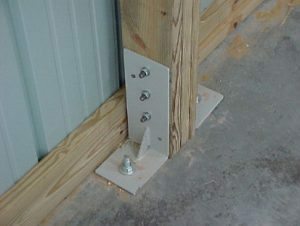 Our customers depend on us to provide quality storage buildings, so along with our partner, Walters Buildings, we make providing quality foundations a top priority and have been doing so for over 50 years. Also, we can construct your building’s foundation using regular concrete or Sakrete®, a ready-to-use mixture that meets ASTM Spec. C-387-56T and yields an impressive compressive strength of 3,500 psi. Whether your needs are agricultural, commercial or suburban, FS Construction Services will work with you to deliver a structure that will be visually appealing, within budget, and built with the highest quality engineering specifications. What that means for you is a strong structure that is built to last. Call us today at 866-551-3454 and let our specialists help design a unique structure to meet your needs. And keep a lookout for our next blog post in our “Building You the Best” series. For Gateway FS, 2015 is much more than just a new year, but a celebration…a celebration of excellence, success, quality and customers. Our honored FS logo turns 60 this year and we’re more than excited to announce our company’s branding accomplishments and the 60 years of hard work and dedication along the way. To celebrate this major milestone, FS will kick off the celebration this month and throughout the year look back on the early efforts that built the meaning of our brand. Not only does this call for a celebration throughout the company, but it also raises a wonderful opportunity to refresh and prominently display the FS logos on facilities and rolling stock. As of today, the FS brand has expanded much farther than Illinois and while it continues to focus and serve farmers and agriculture, it has also expanded into residential, commercial and industrial markets. From day one and continues today, FS will and always will be known for its service, integrity and quality. For 60 years now, FS has revealed new techniques to help customers optimize operations and ensure they are fully equipped and prepared for what’s next and that is definitely worth celebrating! 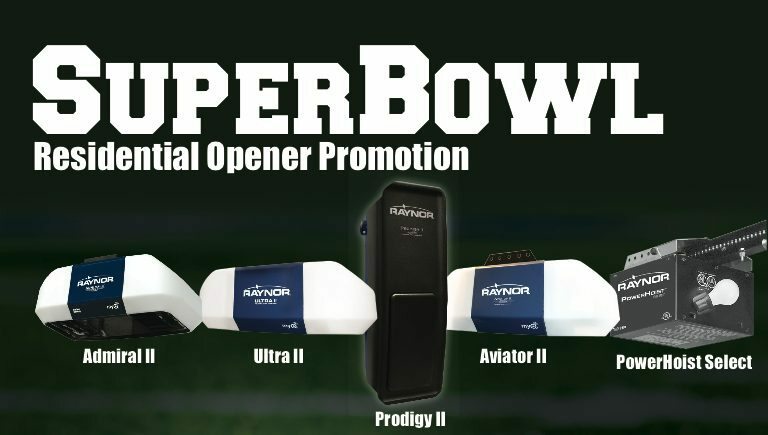 Raynor Super Bowl Promotion Going on Now! It’s game time and FS Construction Services & Raynor is here to help you score your own touchdown! Going on now until February 13, 2015, we’re running a game-winning promotion on select residential openers. Our most valuable players include the Admiral II with $40 off per unit, Ultra II with $35 off per unit, Prodigy II with $30 off per unit, Aviator II with $15 off per unit and PowerHoist Select with $30 off end column per unit. Don’t wait to score big on this promotion because this offer is available while supplies last! In addition, there are no substitutions, normal quantity breaks apply and end column pricing is only available on PowerHoist Select openers. This offer may not be combined with any other discounts or promotions. For all pricing and promotion details, click here to see how you can score big and save with these awesome deals! To speak with one of our experts at FS about this promotion, contact us at 866-551-3454.